How can we be present for others and at the same time maintain our inner balance and strength? Take time out, away from everyday responsibilities and stress, to re-connect with your inspiration, joy and sense of purpose. This retreat offers you the space and the opportunity to strengthen your inner balance and enhance your skills. 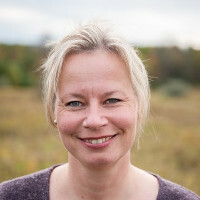 Kirsten will lead us on an exploration of the power of mindfulness and compassion to reduce stress, prevent and heal burn-out, and to foster a greater sense of awareness and happiness. Weaving together contemplative meditation, scientific research, and hands-on experience, you will gain a practical framework to enable you to stay present with those for whom you care; empowering you to respond to the deeper sources of their suffering while remaining open, spacious and centered in yourself.